Looking for VFD Control Panels? Get a quote fast. A VFD, short for variable frequency drive, is a type of a motor controller that powers and controls a motor and its speed with varying frequency (Hz) and voltage. A VFD control panel consolidates VFD’s and any associated motor control or circuit protection devices in an enclosure, protecting them from moisture, corrosion, dust, and other conditions. The most common NEMA ratings for VFD control panel enclosures are NEMA 1, NEMA 3R, NEMA 4 and NEMA 4x. A VFD control panel typically houses a selection of control panel components including a VFD, line reactors, harmonic filters, circuit breakers, surge protectors, motor starters, soft starters, a bypass, and some kind of cooling unit, as VFD’s tend to produce a lot of heat. VFD control panels are available in a wide variety of power ratings, and are used across large-scale industrial applications like pumping, drilling and to control other heavy-duty equipment. Is a VFD Right for Me? VFD’s and VFD control panels have several advantages including energy savings, performance, durability and less maintenance. Electric motor systems can take up a good chunk of power, so if you have equipment that does not need to be running at full speed all of the time, a VFD might be a good choice. A VFD control panel only draws power when it’s required. That is to say, as a motor’s requirements change, the VFD can change the motor speed accordingly. This benefits you on all fronts in terms of energy savings, performance and durability. Further, because VFD’s are an AC drive, there is less maintenance required since you’re not dealing with a DC motor or a transmission. However, one thing to remember is the high level of heat they produce. It’s important to have proper air flow in the control panel so the VFD and its components do not overheat. VFD's are most commonly compared to soft starters, however soft starters are more compact and can be used just when speed and torque control are needed. Don't know what you need? Contact our knowledgeable sales team for assistance! Looking for a new VFD control panel? We’ve got you covered. Bay Power boasts an impressive inventory of VFD control panels, both new, reconditioned, and even custom-built. We are proudly UL 508A-certified, which means we are expertly equipped to handle advanced control panel requests of all types. It’s time to make Bay Power your control panel supplier. Have any old or unused VFD Control Panels lying around? Don’t get rid of them just yet. While we stock a wide range of quality electrical products and solutions, both new and reconditioned, we also buy back your unwanted equipment. So, before deciding what to do with your old VFD Control Panels and components, have one of our expert technicians take a look to see if we can save a few parts, save the environment, and save you some cash. Great service shouldn’t end after the purchase. We pride ourselves on the relationships we build with our customer-first mentality and the quality of our VFD Control Panels and components. That’s why we offer a 1-year replacement warranty on all of our electrical products and solutions from the top manufacturers. Because when you buy with Bay Power, you buy with confidence. 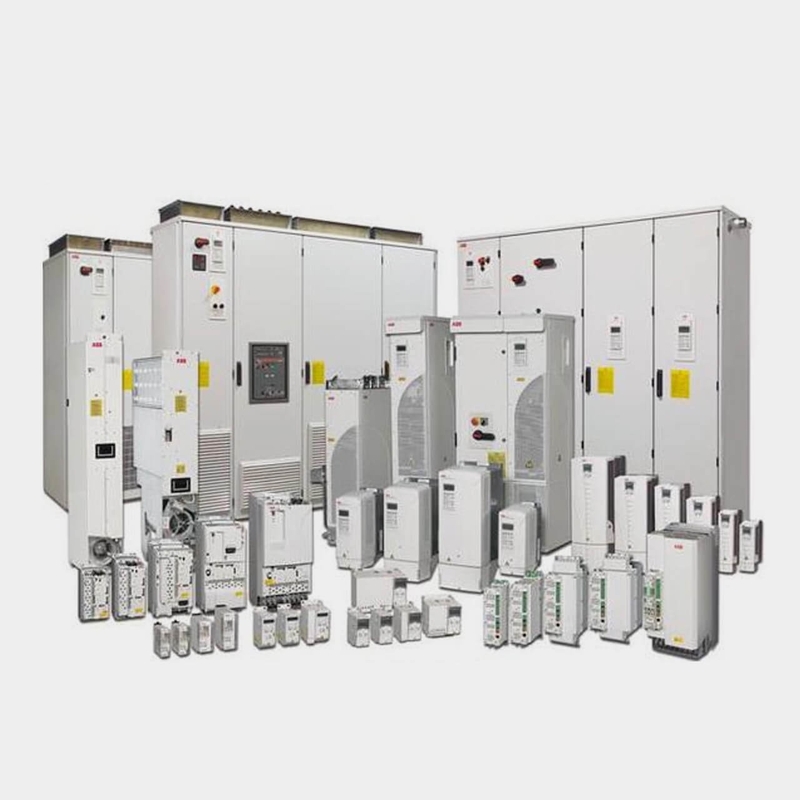 We are proud to stock a variety of competitively priced, new and reconditioned components from the leading manufacturers of VFD Control Panels. Thanks to our extensive inventory of VFD Control Panels and components, our resourceful and expertly trained staff will always be able to get the products that you need. Through our extensive network of suppliers, we are able to carry and acquire a huge variety of electrical products and solutions, so chances are if you need it, we can get it. Bay Power’s priority is providing you with reliable, high quality electrical hardware. That’s why our mission is to make sure our reconditioned electrical products and solutions function as perfectly as the day they were built. Because while the quality is high, the cost of VFD Control Panels shouldn’t be. Our selection of new surplus VFD Control Panels may not arrive brand new in a box, but they function just as well, and have never had electricity run through them. All of the quality, none of the packaging, always with our 1-year replacement warranty.